Chronic insomnia also has a negative impact on work and school performance, impairing concentration and motivation while increasing the risk of errors and accidents. According to a study in Sleep, insomnia is associated with an estimated 253 million days of lost work each year in the U.S. Another report in Sleep Medicine Reviews noted that insomnia causes more than $100 billion in annual costs, with the majority being spent on indirect costs such as poorer workplace performance, increased health care utilization, and increased accident risk. · Does it take you more than 30 minutes to fall asleep, or do you wake up during the night and have trouble returning to sleep, or do you wake up at least 30 minutes earlier than desired? · Do you have daytime symptoms such as fatigue, moodiness, sleepiness or reduced energy? · Do you give yourself enough time in bed to get at least seven hours of sleep each night? · Do you go to bed in a safe, dark and quiet environment that should allow you to sleep well? · Does this sleep problem occur at least three times per week, and has it been present for at least three months? If you answered yes to all of these questions, you may have chronic insomnia. Those suffering from chronic insomnia should get help from the sleep team at an AASM-accredited sleep center. The primary treatment for chronic insomnia is cognitive behavioral therapy for insomnia (CBT-I), an effective, long-term treatment that has few if any side effects. CBT-I involves a combination of behavioral modification and cognitive strategies, such as replacement of unrealistic fears about sleep with more positive expectations. CBT-I recommendations are customized to address each patient’s individual needs and symptoms. Many chronic insomnia sufferers have other chronic physical and mental health problems that should be considered during treatment. Treatment by sleep specialists may help to address both insomnia and the other co-occurring problems — such as depression and chronic pain — to improve overall health and quality of life. 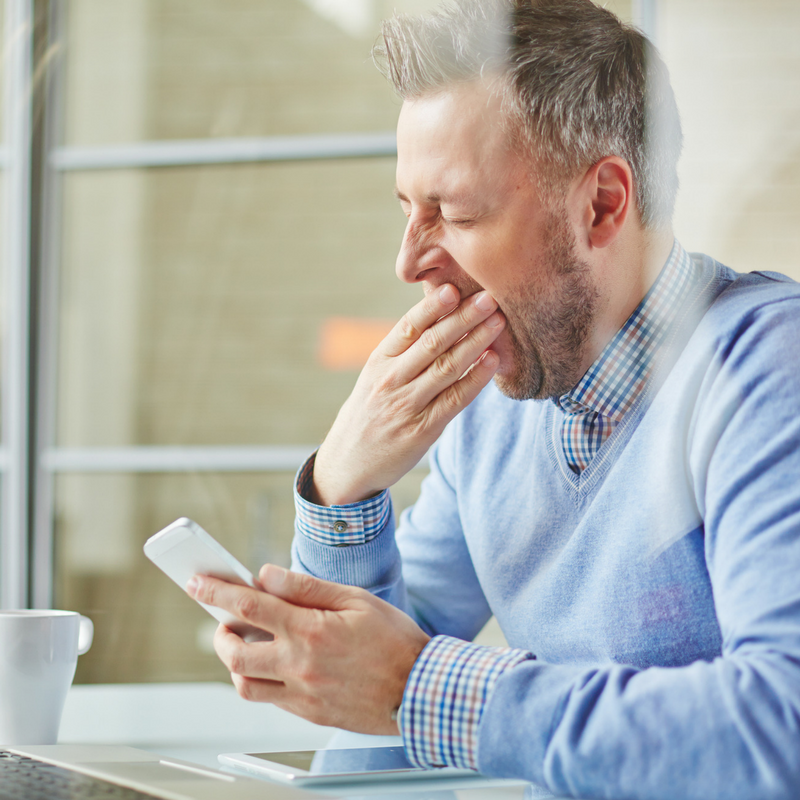 Likewise, there are often other factors that can negatively impact a person’s ability to sleep, such as caffeine consumption or medication side-effects. Sleep specialists can help people who have insomnia to address these disrupters and improve sleep quality. Concerns about insomnia should be discussed with a doctor. Help for an ongoing sleep problem is available from the sleep team at an accredited sleep center. For more information or to find an AASM-accredited sleep center, visit www.sleepeducation.org. 2016–2017 president of the American Academy of Sleep Medicine (AASM). Board-certified in sleep medicine and neurology.